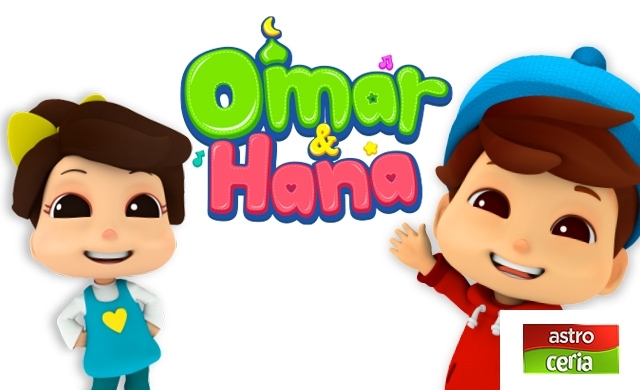 Jom menari dan menyanyi bersama Lagu Kanak-Kanak Didi & Friends! 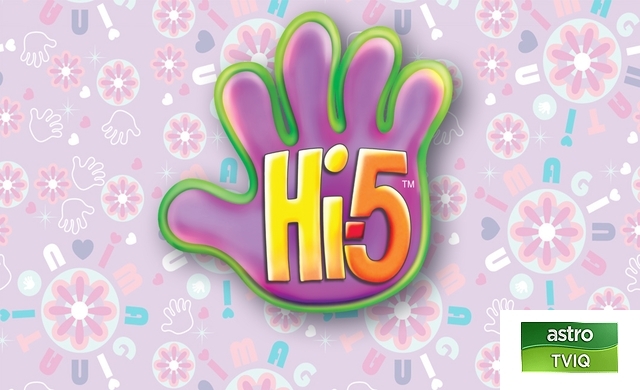 Khas untuk kanak-kanak 2-5 tahun. 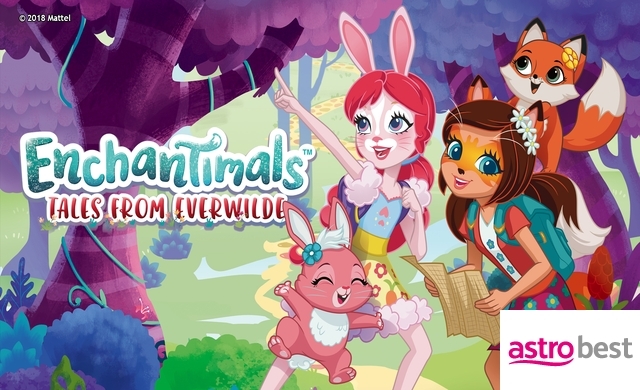 Enchantimals are a group of lovable girls who have a special bond with their animal friends, and even share some of the same characteristics. Together, they work to create balance, peace and harmony among all living things. 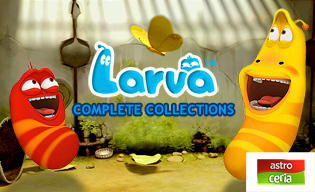 Let these whimsical characters and their nature adventures enchant you! Enjoy a 5-day viewing period. 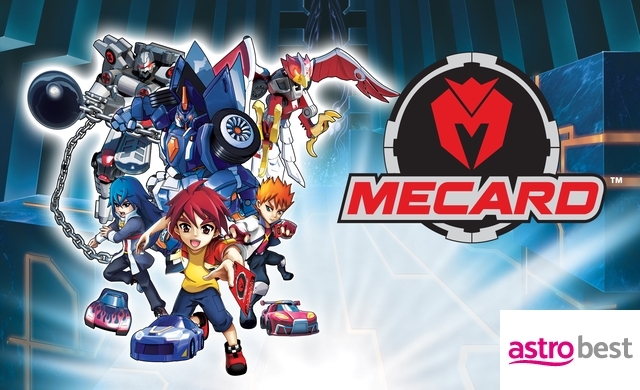 Mecard Mecanimals vehicles transform in a flash to become gigantic robotic heroes! 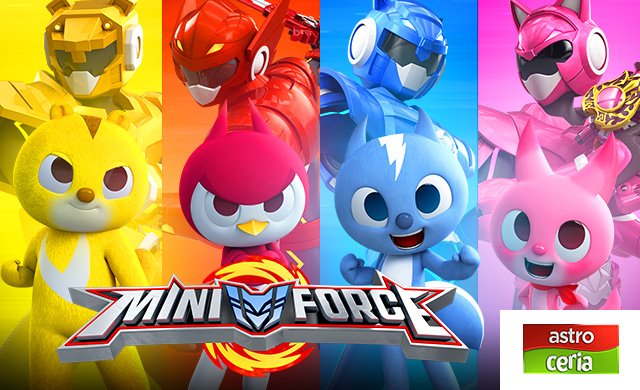 Follow along as they learn how to master every weapon, attack and ability to win in battle! Enjoy a 5-day viewing period. Thomas’ new adventures! 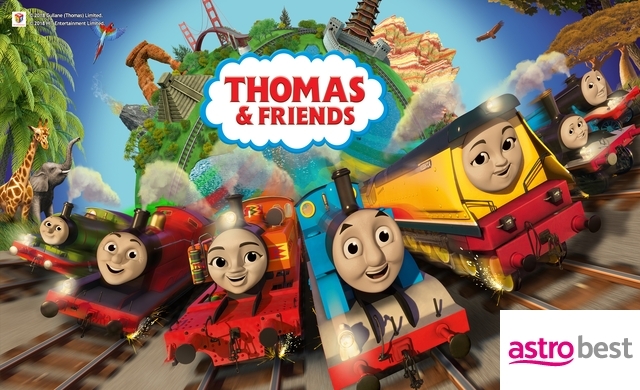 For the first time in the series' history, Thomas leaves Sodor to travel, and discovers new cultures and countries, including China, India & Australia. Enjoy a 5-day viewing period. 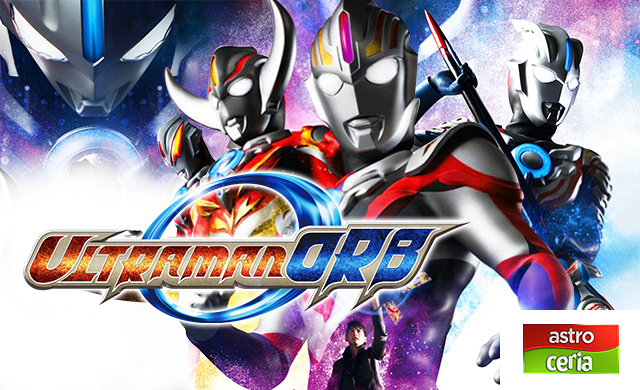 The ordinary GG Bond is selected as a master for five magical locks with the power to save the world. As he battles the destructive Mysterio, a shock lies up ahead. GG Bond reconnects with his father Barrow in virtual space. However, GG soon finds himself hurtling toward a new & monstrous battle after Barrow exposes some brutal facts. 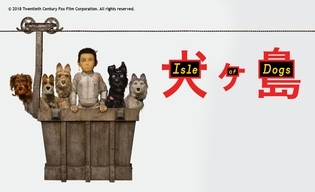 GG Bond & friends go to Titan island to help Jack get back the goose which lays golden eggs. However, a conspiracy surfaces along with Jack’s true identity. Helikopter yang membawa Maru, Ara, Gabi dan Encik Rhapa terhempas di hutan Borneo. Malangya, hanya Rhapa sahaja yang hilang. 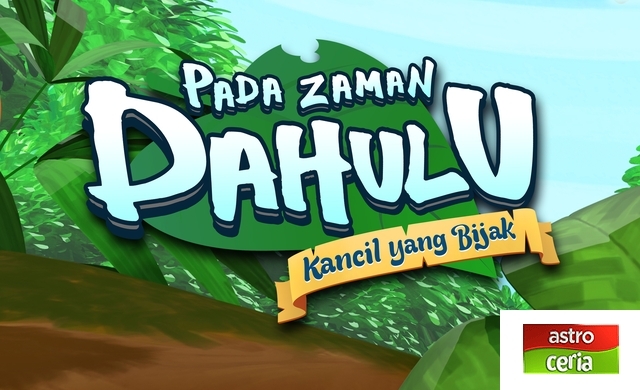 Dapatkah mereka bertiga menemui Rhapa ditengah-tengah hutan belantara yang dipenuhi haiwan ganas dan berbisa? 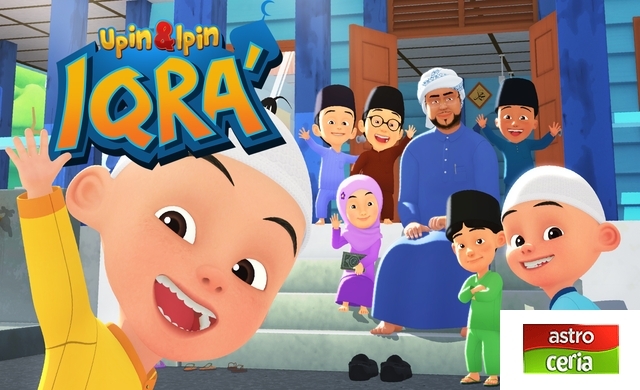 Mengekalkan Upin & Ipin dan kawan-kawan sebagai watak utama serta menampilkan Syeikh Abdul Karim Omar Al-Fatani Almakki sebagai Ustaz yang mengajar mereka mengaji. Hiccup is a Viking teenager who doesn't exactly fit in with his tribe's longstanding tradition of heroic dragon slayers. Hiccup's world is turned upside down when he encounters a dragon that challenges he and his fellow Vikings to see the world from an entirely different point of view. Five years have passed since Hiccup and Toothless united the dragons and Vikings of Berk. Now, they spend their time charting the island's unmapped territories. 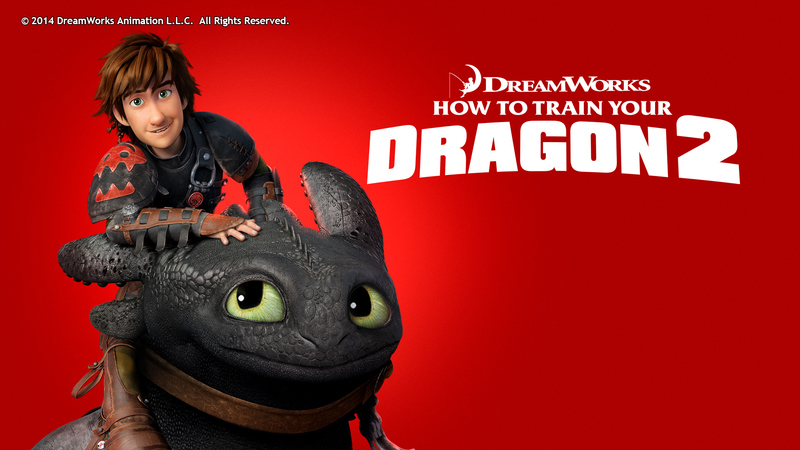 During one of their adventures, the pair discover a secret cave that houses hundreds of wild dragons and a mysterious dragon rider who turns out to be Hiccup's long-lost mother, Valka. 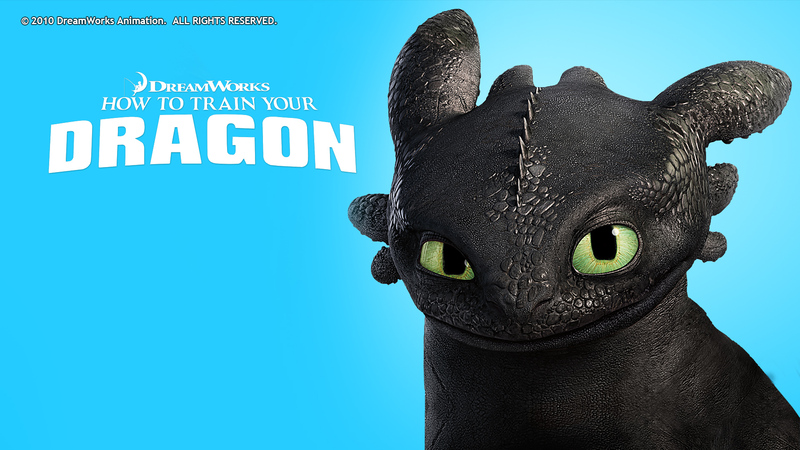 Hiccup and Toothless then find themselves at the center of a battle to protect Berk from a power-hungry warrior named Drago. Mini Force ialah pasukan komando yang dihantar oleh 'Secret Animal Organization' untuk melindungi haiwan-haiwan dari dibuli oleh Nein dan Pascal. 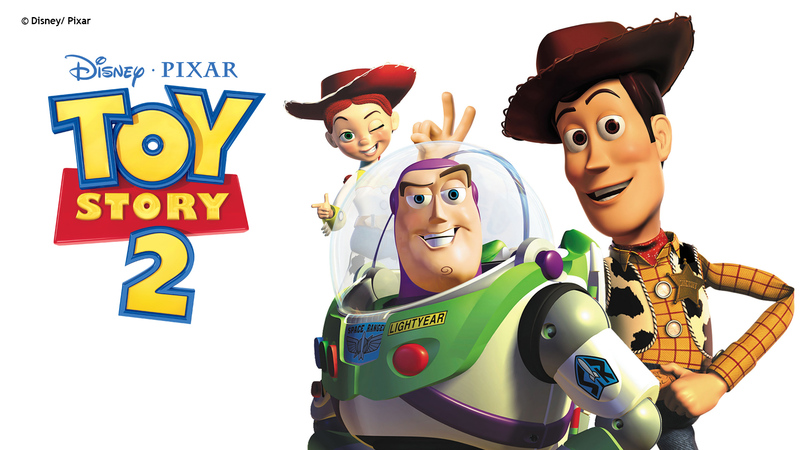 Woody, a cowboy toy who is jealous when a new spaceman figure named Buzz Lightyear threatens his place as top toy in Andy's room. Afraid of losing his place in Andy's heart, Woody plots against Buzz until circumstances separate Buzz and Woody from Andy. 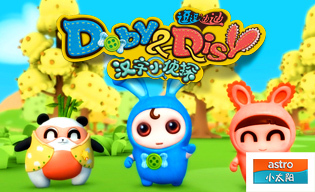 The toys then embark on a hilarious adventure where they learn about friendship and loyalty. 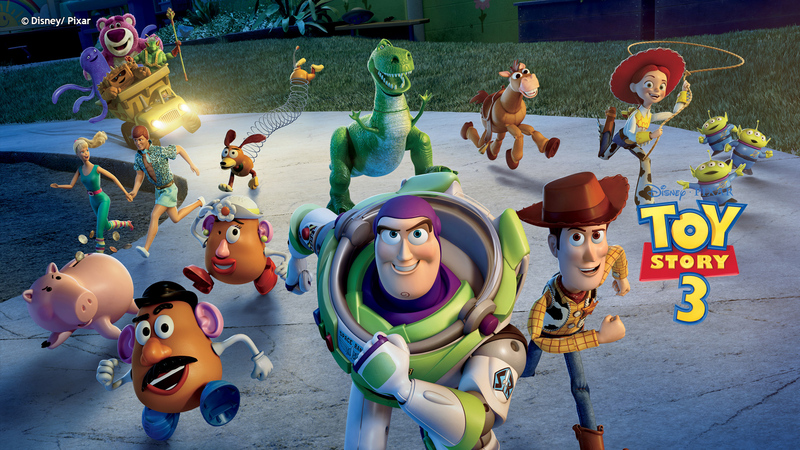 Woody, Buzz Lightyear and their toy friends are left alone as Andy heads off to Cowboy Camp. 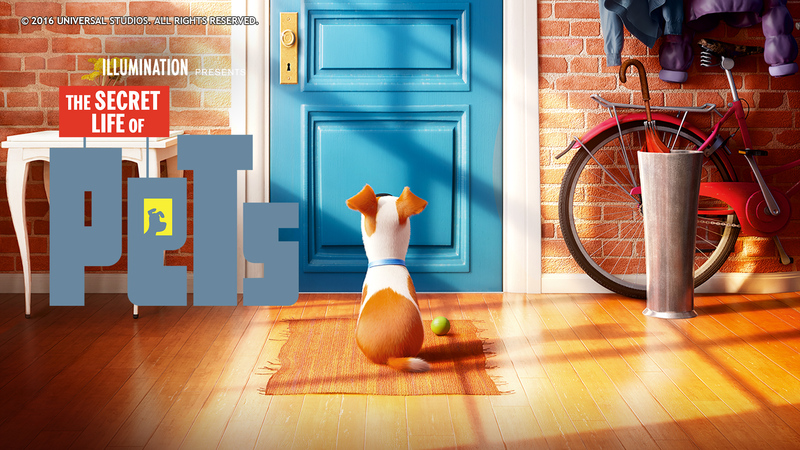 Things shift into high gear when an obsessive toy collector kidnaps Woody. 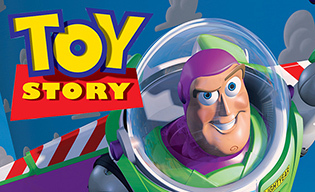 Now, Andy's toys have to mount a daring rescue mission and adventure to save Woody. As Andy prepares to depart for college, Buzz, Woody and the rest of his loyal toys are troubled about their uncertain future. Andy decides to take Woody with him to college and puts Buzz Lightyear and the rest of the toys in a trash bag for storage in the attic. 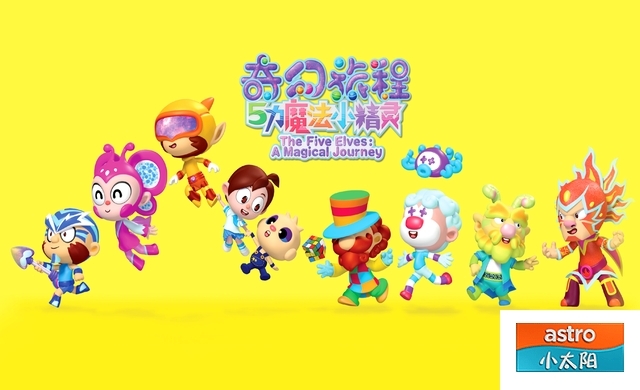 However, the toys are accidentally thrown out when Andy's mother finds the bag and puts it out on the curb, causing the toys to think that they are no longer wanted. They escape and decide to climb in a donation box for Sunnyside Daycare where they meet other toys. Andy's toys are welcomed by the many toys at Sunnyside but trouble brews slowly and only Woody can save them. 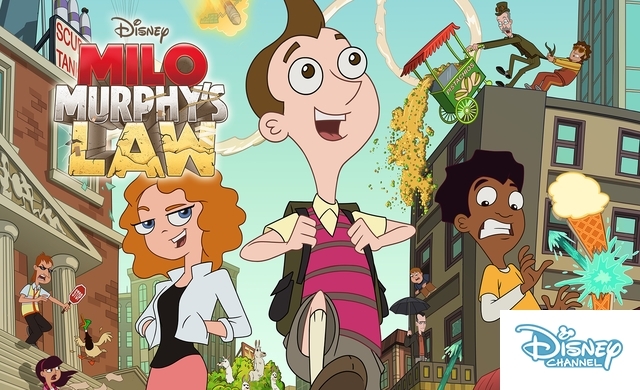 Zack, the new kid in town, finds that even a simple trip to school becomes an adventure when he meets Milo Murphy; Milo discovers an underground city. Flint creates an invention to take out the garbage, but it soon starts deciding for itself what - and who - counts as garbage. 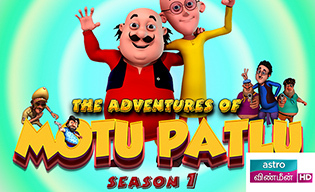 This animation series focuses on two friends, Motu and Patlu, living in the fictional city Furfuri Nagar. 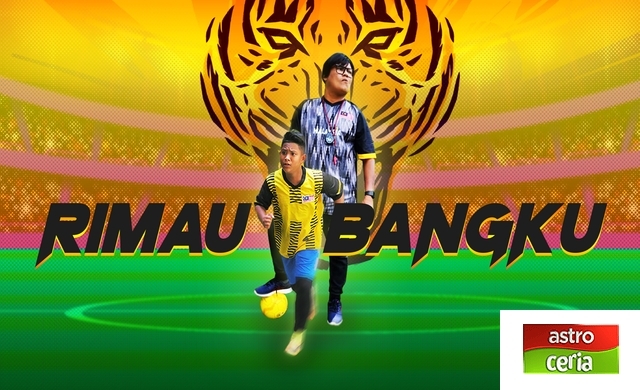 Walaupun tidak memiliki fizikal dan stamina sebagi pemain bola tetapi Azman masih menyimpan cita-cita untuk menjadi pemain bola sepak yang berjaya. 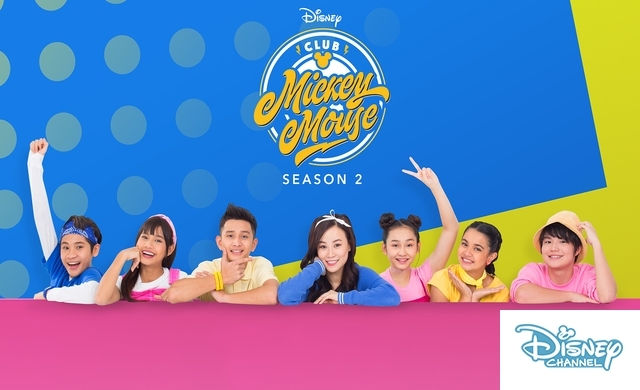 Club Mickey Mouse follows the journey of the new Mouseketeers as they create new music and choreography and build friendships. 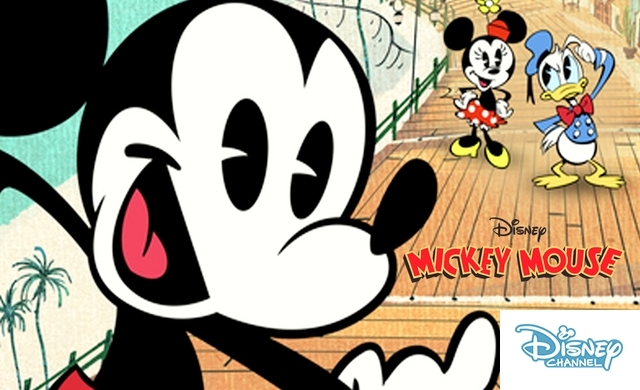 Experience genuine heartfelt and heroic moments as Mickey explores and experiences life with his comical partners: Minnie, Donald, Daisy, Goofy, and Pluto. 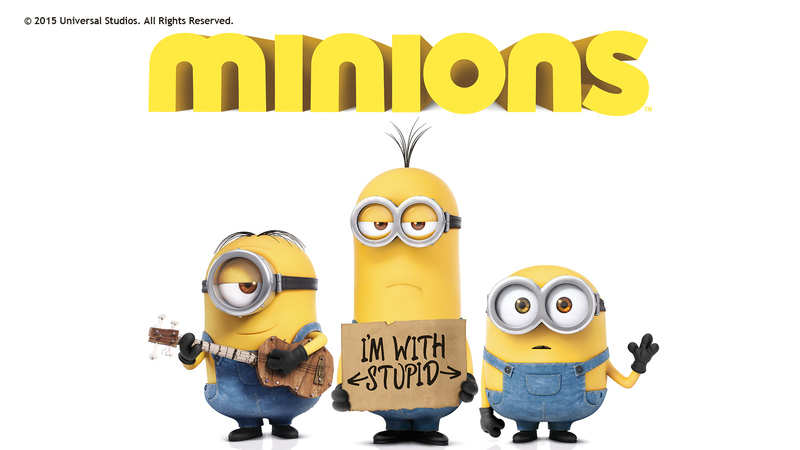 Minions, Kevin, Stuart and little Bob venture out into the world to find a new evil boss for their brethren to follow. The trio embarks upon a thrilling journey that ultimately leads them to their next potential master, Scarlet Overkill, the world's first-ever female super-villain. They travel from frigid Antarctica to 1960s New York City, ending in mod London, where they must face their biggest challenge to date: saving all of Minionkind from...annihilation. 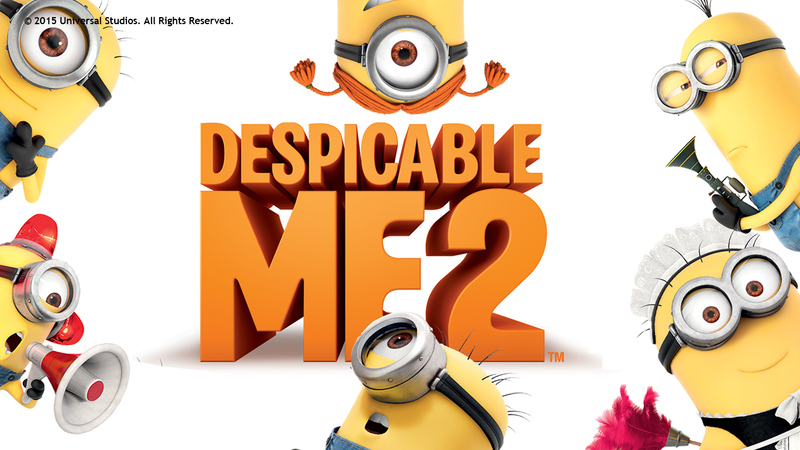 Gru, his adorable girls, and the mischievous Minions are back with a cast of unforgettable new characters in the blockbuster sequel to the worldwide phenomenon. 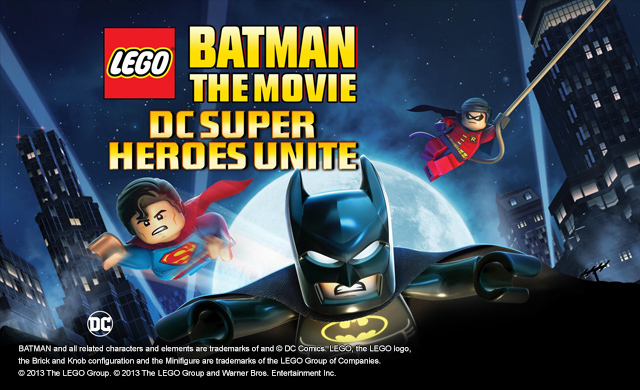 Just as Gru has given up being super-bad to be a super-dad, the Anti-Villain League recruits him to track down a new criminal mastermind and save the world. 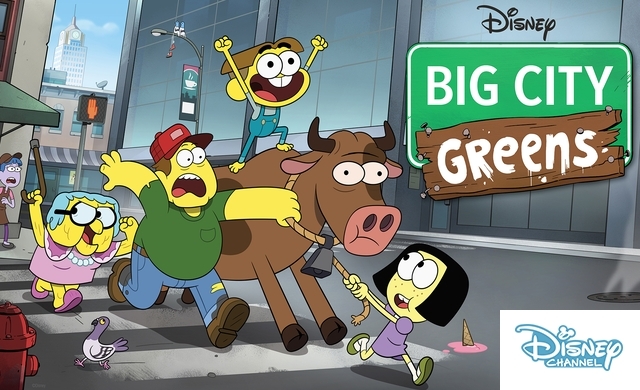 Partnered with secret agent Lucy Wilde, Gru, along with the wildly unpredictable Minions, must figure out how to keep his cover while also keeping up with his duties as a father. 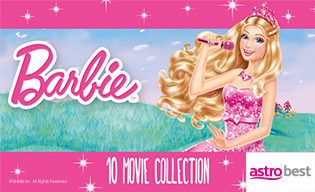 Barbie and friends are off on exciting adventures all over the world. 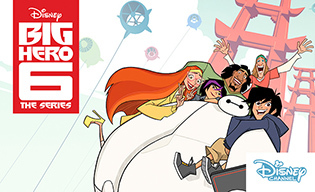 Join them on their 10 fun-filled journeys and learn the true meaning of friendship! Enjoy a 5-day viewing period. Kisah lima orang puteri yang hidup di sebuah Kerajaan Limau serta mempunyai kemampuan yang luar biasa untuk menghalang kuasa sihir. Being a princess isn't easy, and for Rapunzel life is getting even hairier! With her journal in hand, Rapunzel is excited to experience life in Corona before accepting her destiny. 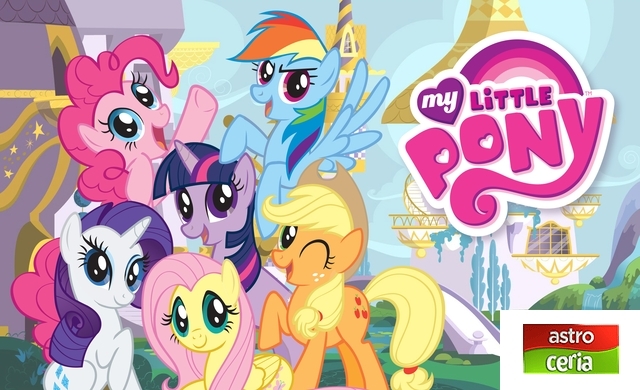 Disney has featured many princesses in its TV shows and movies through the years -- but never a little girl princess. Until now. 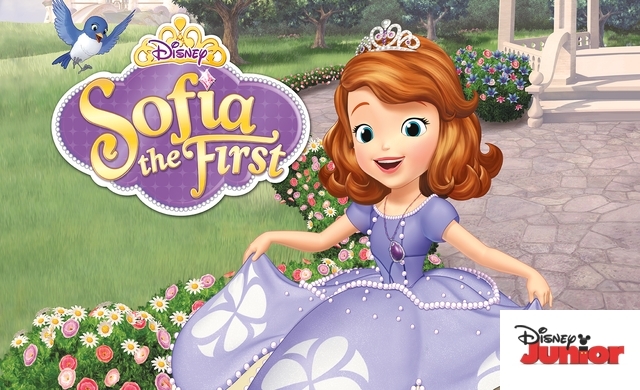 This animated series features Sofia, an ordinary girl who becomes a princess overnight when her mom marries the king. 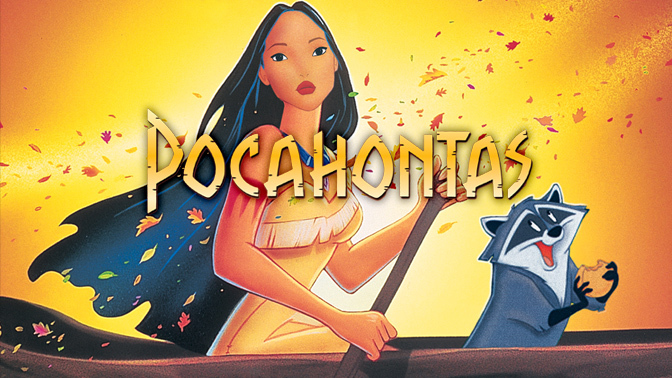 Virginia, a beautiful young Native American woman named Pocahontas, the daughter of Chief Powhatan, ponders her path in life and dreams about what lies beyond. She faces a choice to marry Kocoum, the stern warrior her father has chosen for her, or will destiny have something else planned for her? Tiana is a poor African-American girl who has a knack for cooking, and dreams of opening her own restaurant. 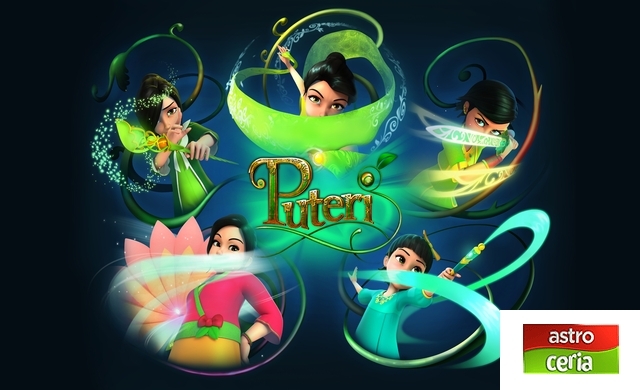 Her best friend since childhood is a privileged girl whose wealthy father employs Tiana's mother as a dressmaker. 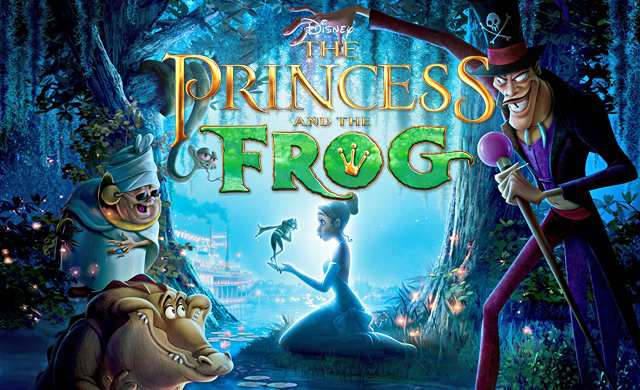 When the friend's family hosts a party for Prince Naveen of Maldonia, an expert in black magic named Dr. Facilier turns the visiting royal prince into a frog. 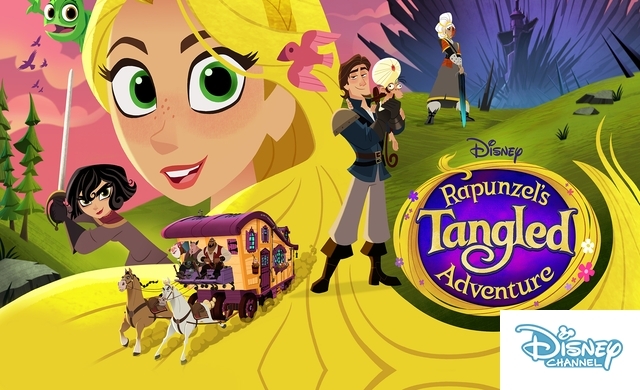 The now amphibious Naveen convinces Tiana that a kiss will reverse the spell, and if she obliges him, he'll provide the money she needs to open her dream eatery. 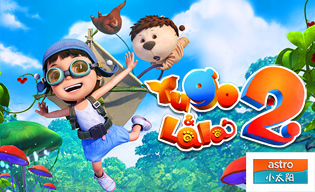 On the lush and tropical Hawaiian Islands, a lonely little girl named Lilo adopts what she thinks is an innocent puppy. She names her new pet Stitch; completely unaware that he is a dangerous genetic experiment who has escaped from an alien planet. Stitch's only interest in Lilo is using her as a human shield to evade the alien bounty hunters who are bent on recapturing him. 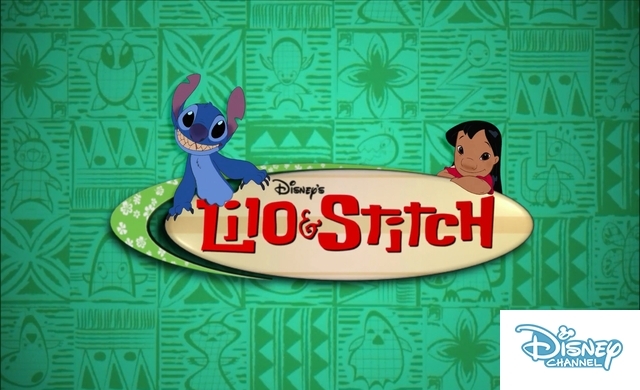 But without a greater purpose in life, no friends, family or memories, Stitch does a little soul searching and begins to understand the meanings of love and ohana and his feeling for Lilo begins to change. 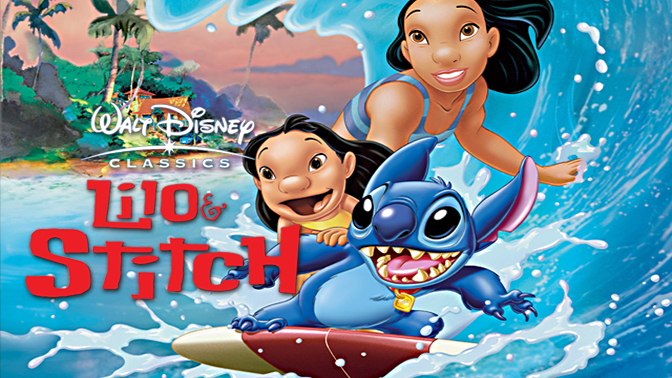 The animated series is sequel spin-off series of the feature film Lilo & Stitch, about rambunctious human and alien duo must hunt down Dr. Jumba Jookiba's 625 other experimental creatures infesting Hawaii. 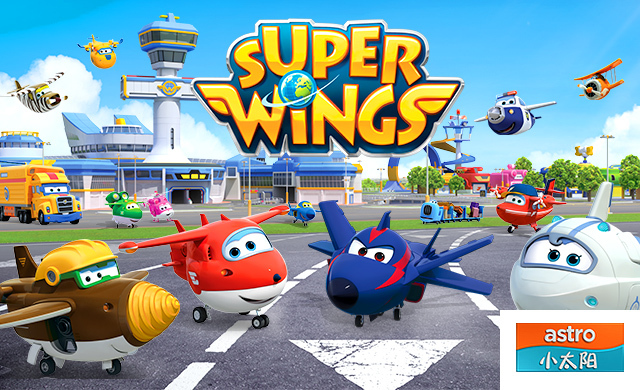 Especially created for preschoolers, this 3D cartoon returns in a new season with four new members who join Leddy & his "Super Wing" group, helping children deliver parcels across the world. 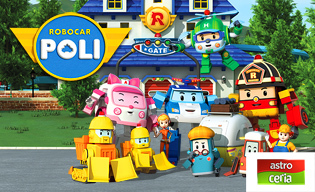 The super Robocar rescue team makes it their job to save cars and people every time a disaster occurs in Broomís town. Di Bandar Brooms, sebuah bandar kecil dengan pasukan penyelamat yang hebat, kerap berlaku kemalangan serta masalah seperti kenderaan tergelincir daripada tebing ketika hujan, kemalangan kereta seorang kanak-kanak terkurung di dalam balai bomba. 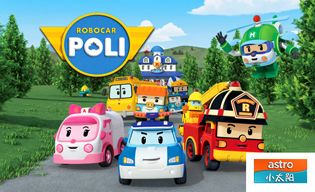 Jom kita menonton kehebatan Robocar Poli seterusnya! 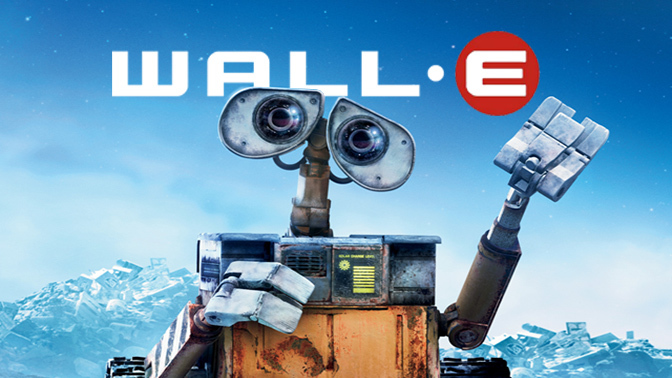 In a future world where humans have destroyed Earth ecologically and evacuated the planet, only dutiful robot WALL-E is left to clean up the mess. But with the arrival of a female probe, a smitten WALL-E experiences love for the first time. Mari sertai Omar & Hana bersama keluarga dan rakan-rakan belajar nilai-nilai Islam melalui lagu-lagu Islamik. Alhamdulillah! GBS menemui seorang ahli baru bernama Diana setelah Emily bertukar sekolah. Bersama-sama Fendi, mereka mengetuai GBS dalam mengharungi lebih banyak pengembaraan di luar sekolah. Kisah Aki yang menceritakan tentang binatang-binatang yang popular dalam panglipurlara kanak-kanak kepada dua cucunya. 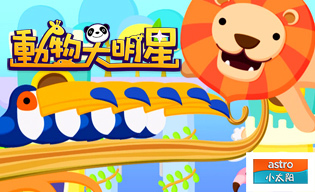 An adventure of a group of animals on wheels as they explore their jungle home. 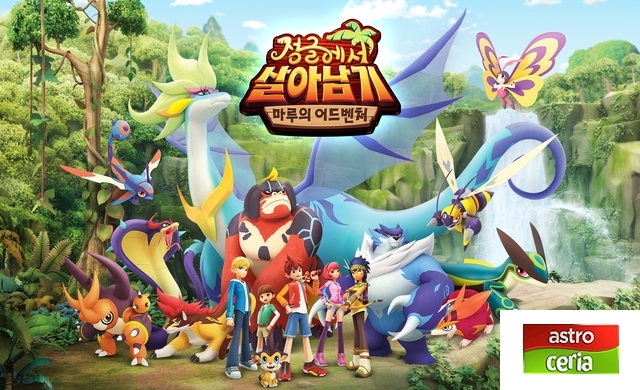 The series intends to insist an early respect for the environment in preschool-age children. 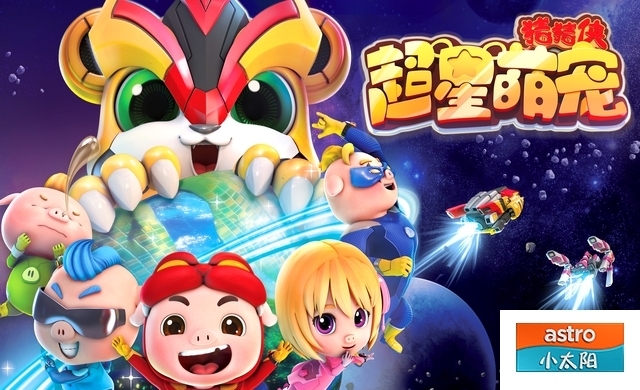 This children's animated series charts the adventures of Star Cat. 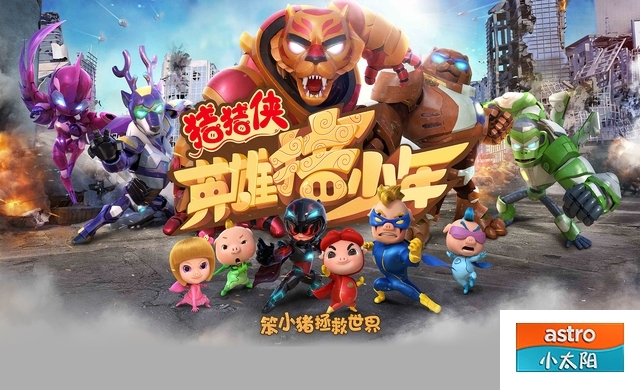 China’s animation blockbuster captures the themes of love, friendship & responsibility in the story of how a strange box & mysterious little girl trigger a new adventure for the Bear Brothers. 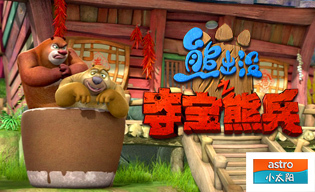 Produced in Mandarin, the original animated ZooMoo features new Chinese animal puppets, Panda & Snub-Nosed Monkey. 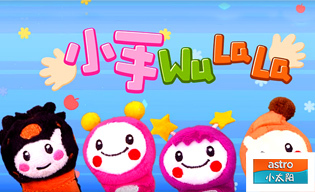 Kids can enjoy local stories, traditional Chinese arts & crafts, and original songs. Join a colourful cast of crazy characters in this fabulous collection of Dr. Suess' best loved stories of Dr. Seuss' The Lorax, Dr. Seuss' Horton Hears a Who! 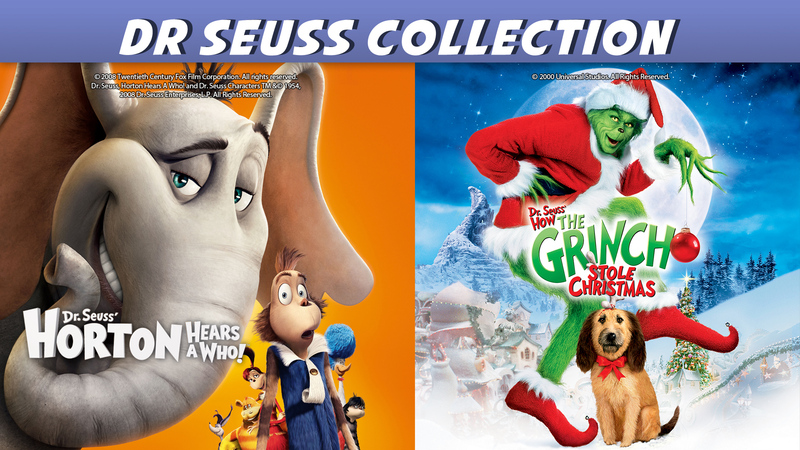 and Dr. Seuss' How the Grinch Stole Christmas. 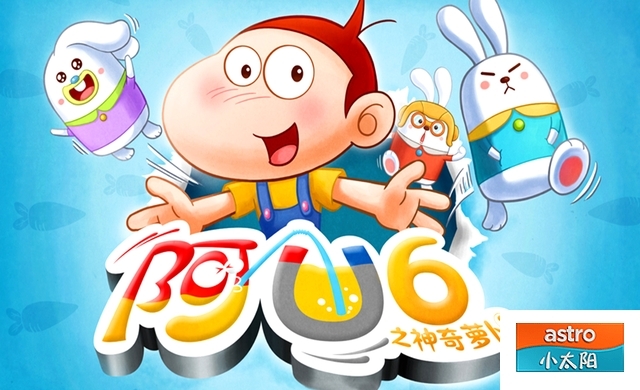 It follows a clumsy, overweight Po who dreams of becoming a kung fu master but instead seems destined to follow in the footsteps of his father and grandfather in the restaurant business. 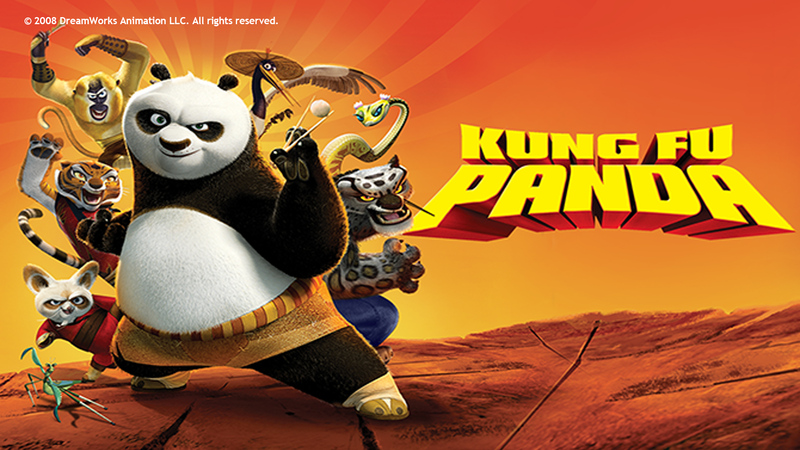 When an evil kung fu warrior is foretold to escape after 20 years in prison, Po is unwittingly named the chosen one destined to bring peace to the land, much to the chagrin of the resident kung fu warriors. Available in English & Cantonese audio. 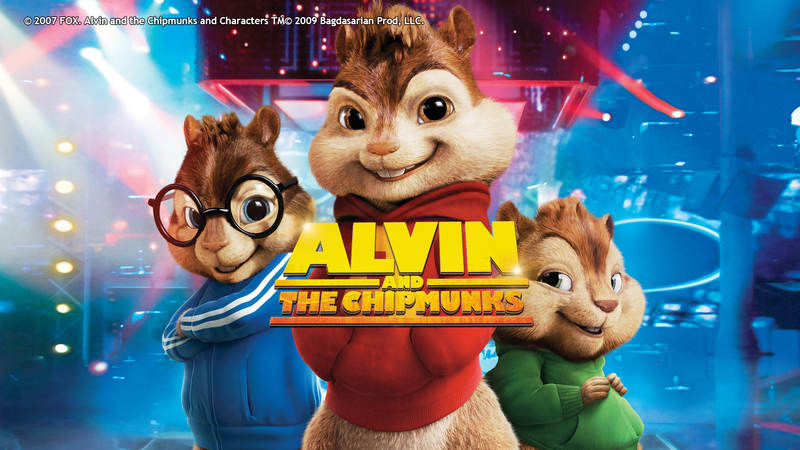 After the tree they called home is cut down and shipped to Los Angeles, talking chipmunks Alvin, Simon and Theodore find a new home with songwriter Dave Seville. Despite a rocky start to this new arrangement, Dave eventually discovers that the spunky critters have rare singing talent. When the three perform in front of record executive Ian Hawke, he immediately signs them. Although the infectious group rapidly gains in popularity, their loyalty is soon tested. 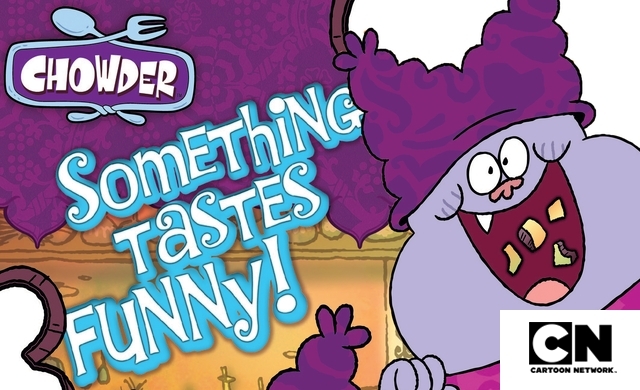 Max's life as a favorite pet is turned upside down when his owner brings home a sloppy mongrel. 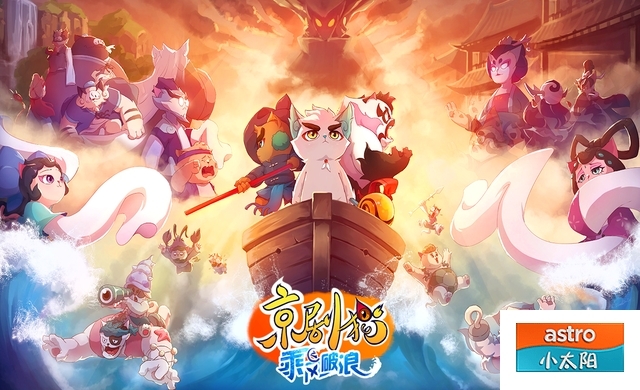 They must put their quarrels behind, when they find out that a white bunny, is building an army of abandoned pets determined to take revenge on all happy-owned pets and their owners. 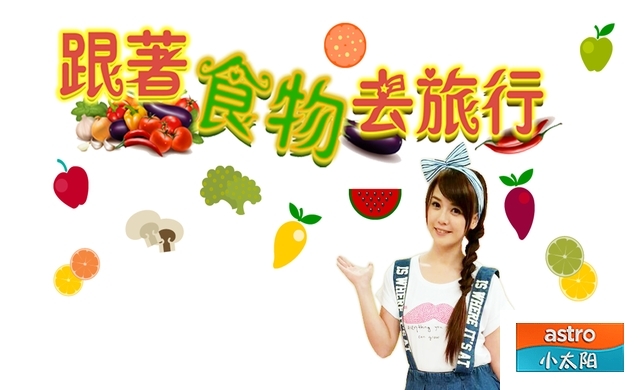 Available in English & Cantonese audio. 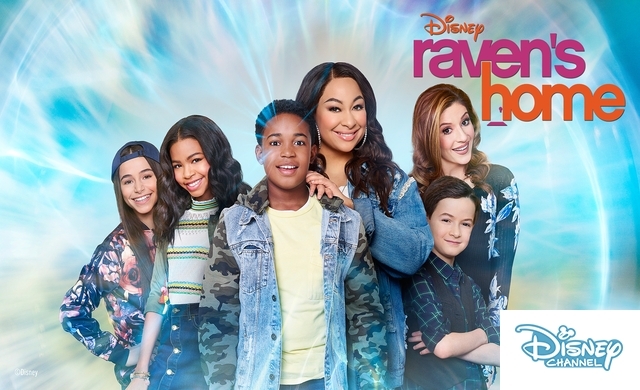 Raven Baxter and the entire family learn that her pre-teen son Booker has inherited her ability to catch glimpses of the future. 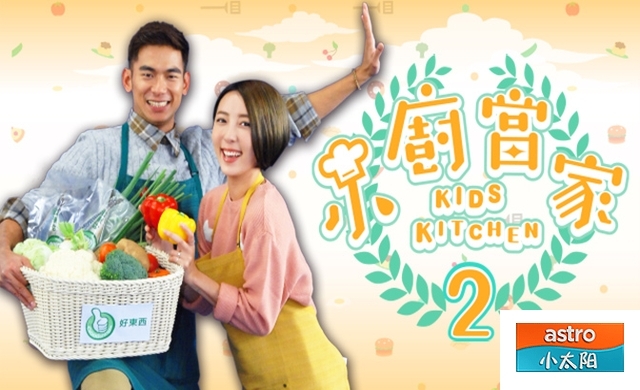 This new season of Taiwan’s hottest kids’ cooking show handpicks its contestants from primary schools across Taiwan. Watch the Top 12 battle it out. 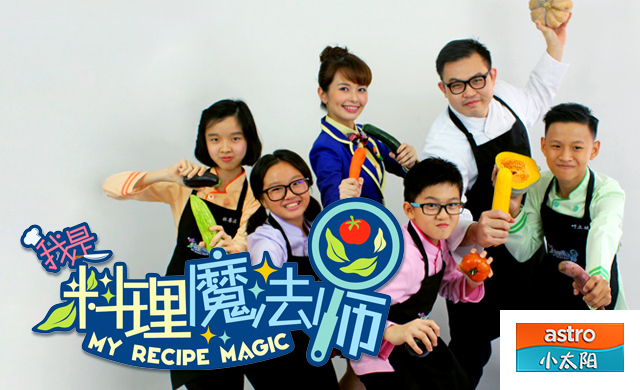 Selected by XTY, four little chefs take on the challenge of learning the finer points of cooking from their professional elders. 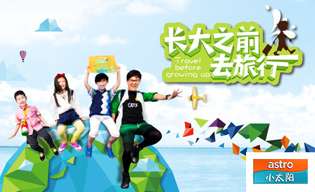 This fun-filled travel guide for children & their parents leads you into the delicious world that stretches between North and South Taiwan. Discover how camping amidst the beauty of nature can connect, bond and heal relationships between parents & children, with the magic of the great outdoors. 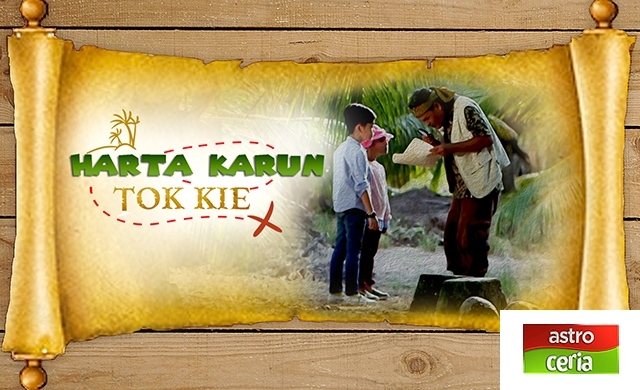 Designed for young minds, this programme teaches children how to plan trips across Malaysia by allowing them to pick destinations & plan travel itineraries. 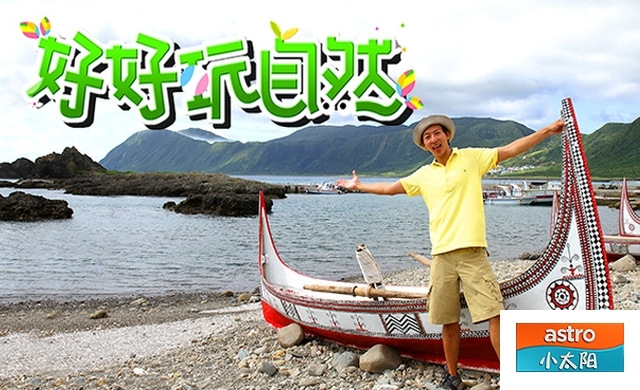 This highly-rated children’s reality show sees kids expanding their horizons as they explore the world, learning through travel & cultural exploration unaccompanied by parents. 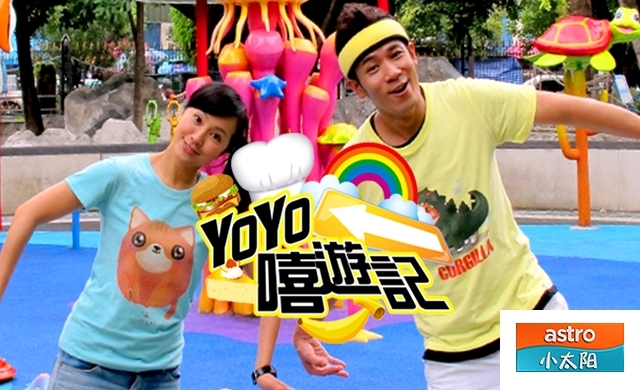 Yoyo TV hosts take children to a farm, ranch & marine farm in Taiwan, to show them how food we eat daily is cultivated. Many years ago, Dr. Franklin Char and Limo, a pair of scientists work to combine their ideas in an effort to create a robot to help the world. 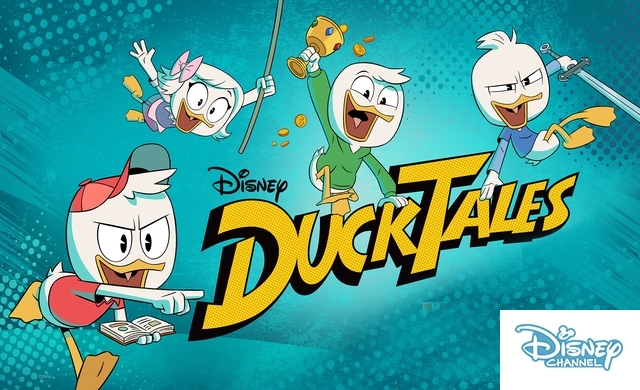 However, their lab catches on fire and the two are separated, Franklin is injured, both of their wives are killed and their new robot fails to save them. 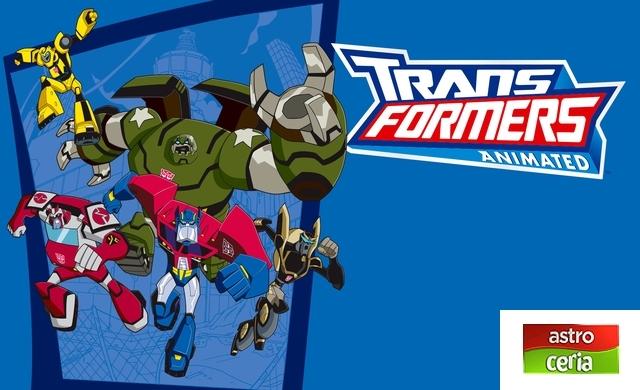 Five years later, a group of mysterious men capture Franklin to the surprise of his twin sons, Ryan and Kory, who find that their father's car is actually a transforming robot. 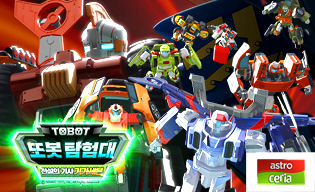 Selepas memenangi peperangan di Cybertron menentang Decepticons, kumpulan Autobot yang diketuai Optimus Prime telah menemui Allspark di sebuah asteroid. Ketika membawa Allspark pulang ke kapal, mereka telah diserang oleh Megatron dan kuncu-kuncunya. 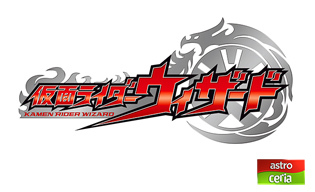 Kamen Rider Wizard, Koyomi & Kamen Rider Beast bertungkus lumus menentang manusia berkuasa ajaib, ‘Gates’ yang bertukar menjadi ‘Phantoms’ akibat ritual misteri pada hari gerhana matahari. 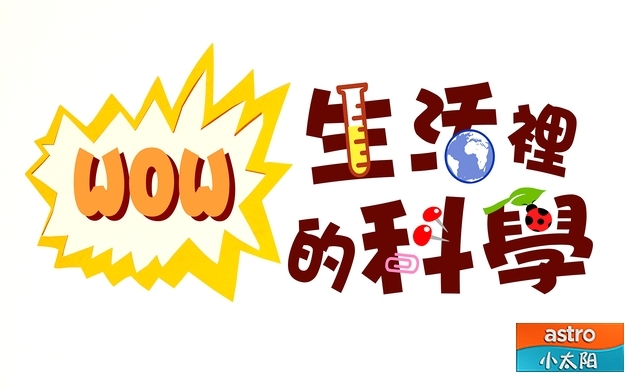 Ecology expert & Liu Ding show children nature’s many faces, with their introduction of the characteristics particular to certain animals & the environment. 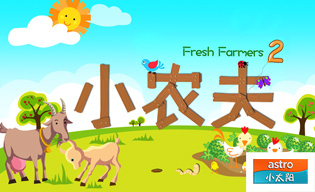 Fresh Farmers returns with more farms to visit in Malaysia! Discover how kids bond with their elders through farming activities, and get a glimpse of the farm life as you pick up some agricultural knowledge. 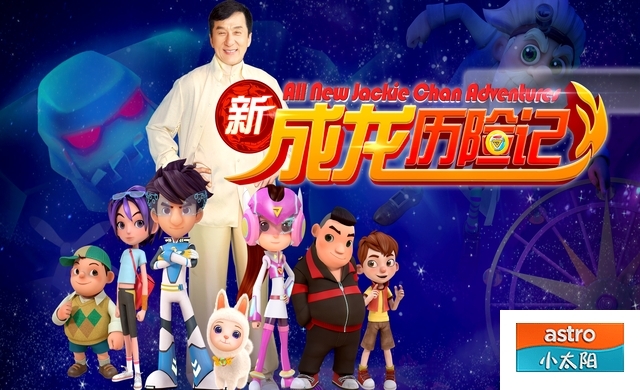 Superstar Jackie Chan turns executive producer in this animation adventure in which the J-Team guardians fight an evil professor who creates capsule monsters out of children's bad habits. 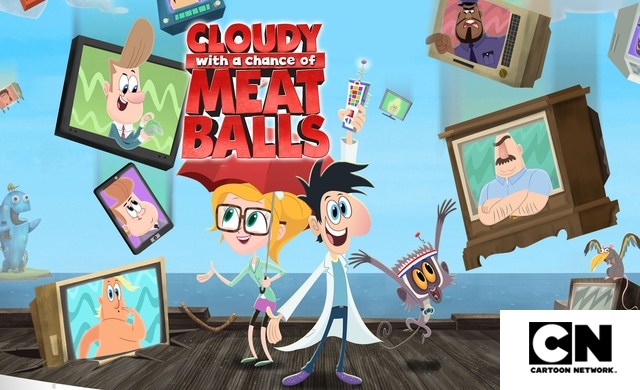 This much-loved cartoon series uses art forms to teach science. Stimulating children's passion for learning, it provides an entertaining way to see things from a scientist’s point of view. When their glacier home begins to melt, the prehistoric posse must beat the floods by taking an eventful journey to safer ground. 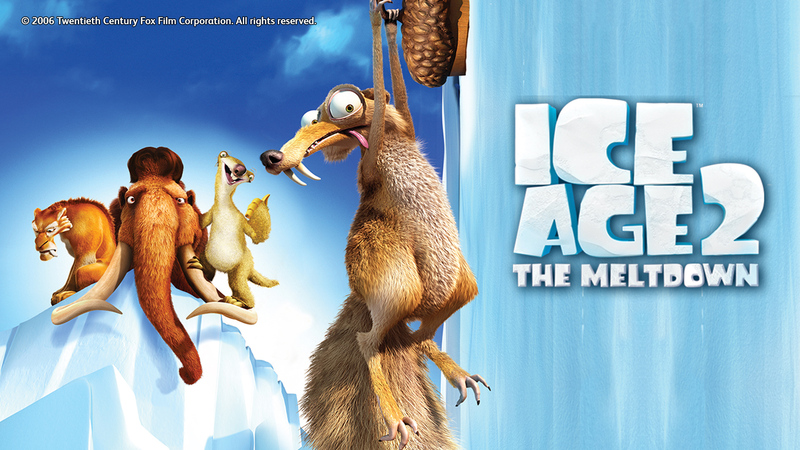 Scrat the acorn-obsessed squirrel-rat steals the show once again, but the torrent of visual and verbal gags makes this another highly entertaining post-Jurassic lark. 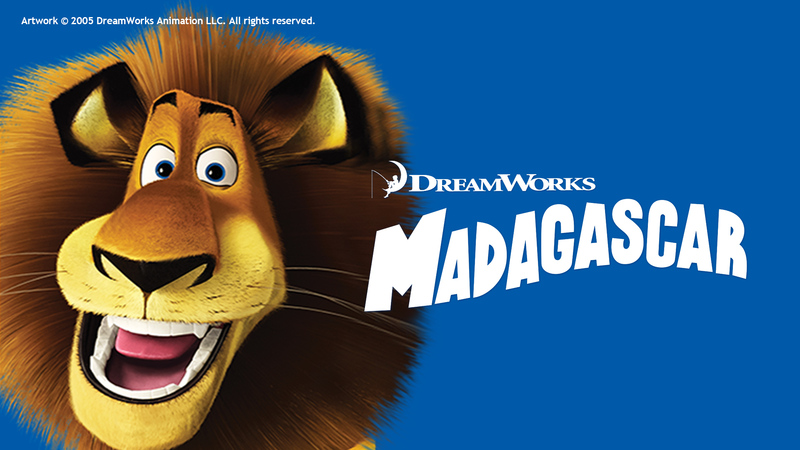 With no idea what wild life is really like, four animals from New York Central Zoo escape, unwittingly assisted by four absconding penguins, and find themselves in Madagascar. A macaw named Blu never learned to fly and lives a happily domesticated life in Minnesota with his human friend, Linda. 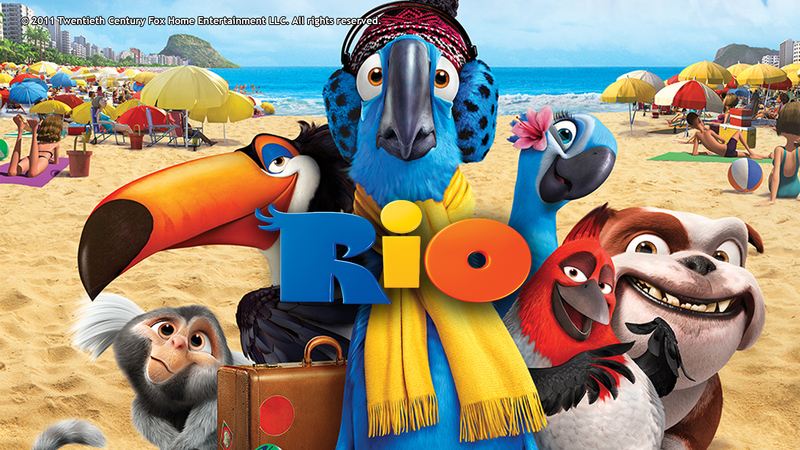 Blu is thought to be the last of his kind, but when word comes that Jewel, a lone female, lives in Rio de Janeiro, Blu and Linda go to meet her. 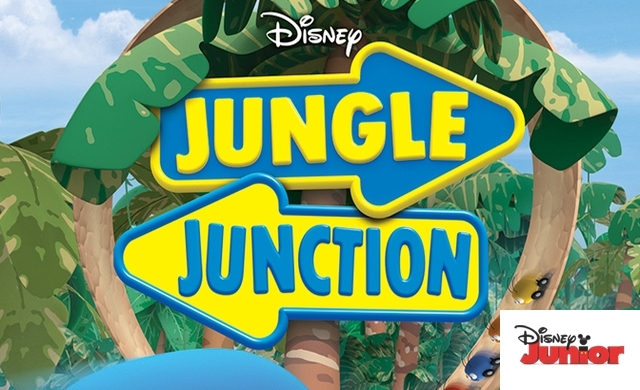 Animal smugglers kidnap Blu and Jewel, but the pair soon escape and begin a perilous adventure back to freedom and Linda. 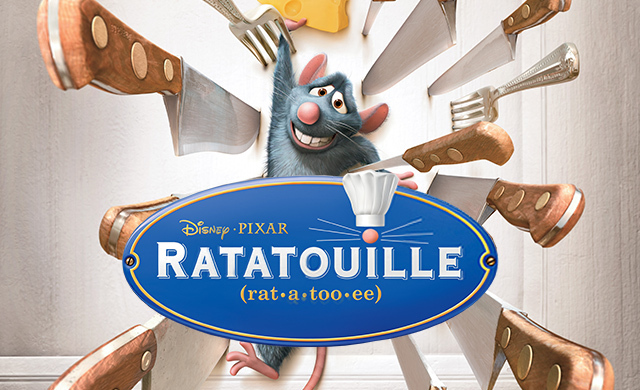 Growing up beneath a five star Parisian restaurant, Remy the rat inherits a taste for fine foods and dreams of becoming a chef despite his family's wishes. When fate places Remy in the sewers of Paris, he finds himself ideally situated beneath a restaurant made famous by his culinary hero, Auguste Gusteau. With the help of sous-chef Alfredo Linguini, Remy's passion for cooking soon sets into motion and a hilarious and exciting rat race that will turn the world of Paris upside down begins. In the colourful and warm tropical waters of the Great Barrier Reef, a Clown Fish named Marlin lives safe and secluded in his anemone home with his only son, Nemo. Fearful of the ocean and its unpredictable risks, he struggles to protect his son. Nemo, like all young fish, is eager to explore the mysterious reef. 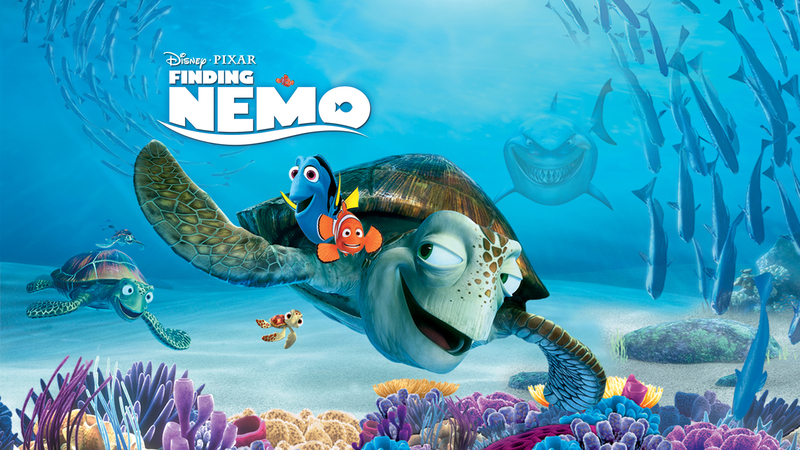 When Nemo is unexpectedly taken far from home and thrust into a tacky dentist’s office fish tank, Marlin finds himself the unlikely hero on an epic journey to rescue his son. 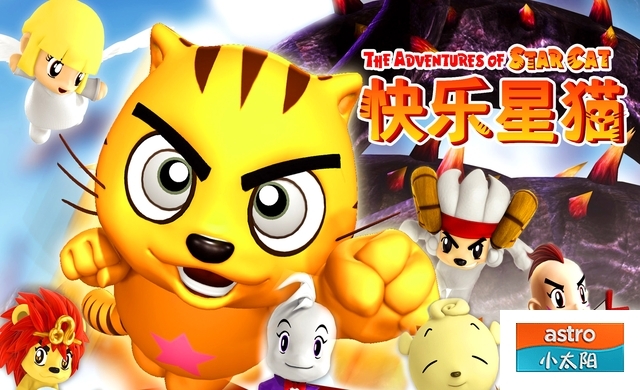 In this new season , four young brave Jing-ju cats, guardian warriors, unite in a continued battle against evil to defend their homes and restore peace to the land. With his beloved Queen Mera and trusted half-brother Orm by his side, it seems there is nothing that Aquaman cannot conquer. But when the Justice League’s Trouble Alert calls, this water dweller heads for dry land and is joined by Batman, Superman, Wonder Woman and rookie Green Lantern, Jessica Cruz. 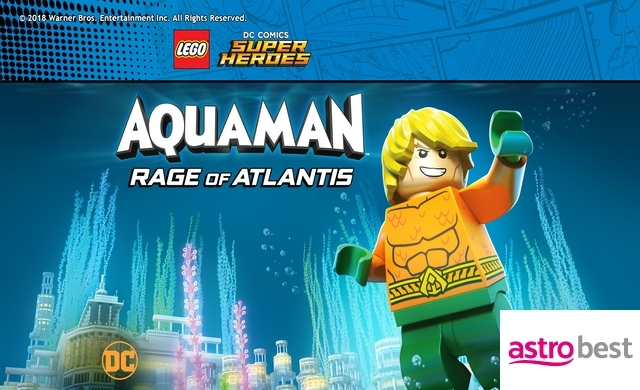 Faced with an extra-terrestrial test that will threaten Earth and even other worlds, Aquaman finds himself a true fish out of water and even a king without a crown! 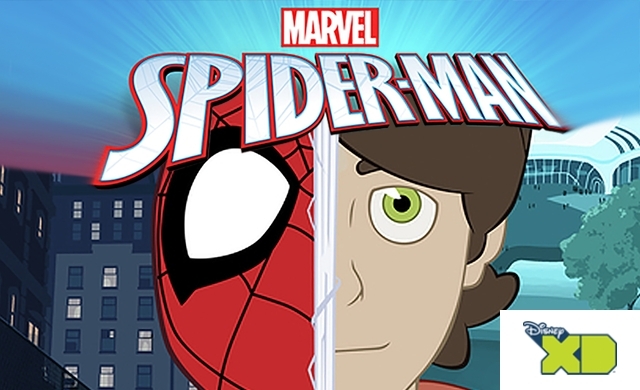 An ordinary teen discovers he has strange new powers that come with overwhelming responsibility. Join Scrooge and his family on globe-trotting adventures! 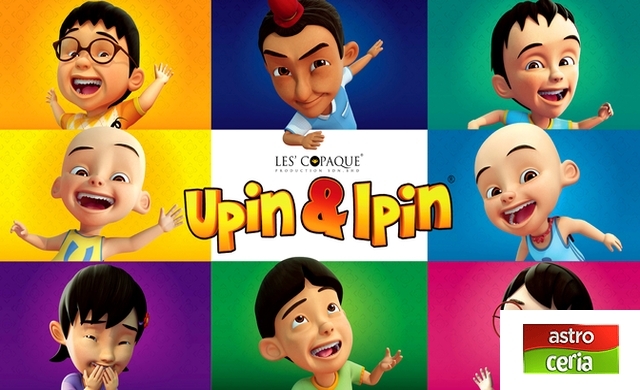 Nikmati animasi terbaik hasil nukilan Dato' Lat yang penuh kreatif lagi menghiburkan ini istimewa untuk tontonan anda sekeluarga! 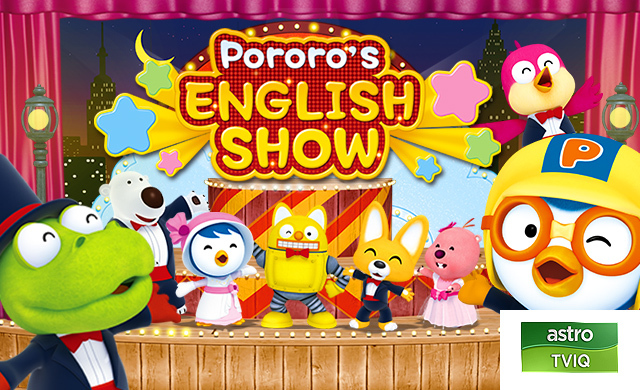 Pororo and friends are back with a sequel of music video series featuring interesting lyrics and easy melody for kids to sing along. Saksikan penemuan-penemuan hebat yang menjadi permulaan bersejarah kepada tamadun manusia. Cerita ini diolah dengan menarik agar sesuai dengan kanak-kanak. 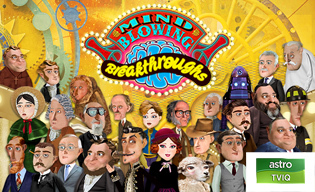 This educational children's program seeks simple answers to life’s everyday mysteries. 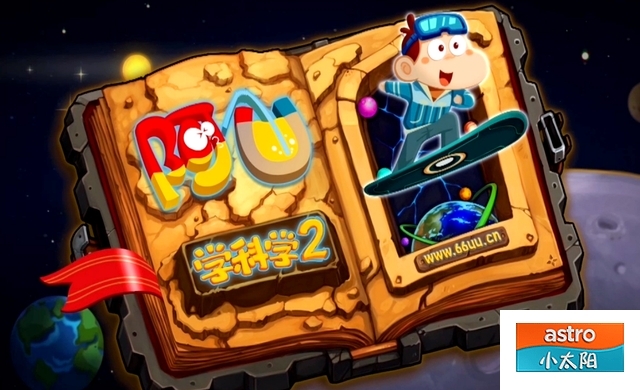 The new season of this China animated series revolves around AU & his friends and their amazing adventures on a magical island. Kisah pasangan Adik beradik Lyssa dan Rauf yang terpaksa mencari jejak datuknya yang menderita Alzhemeir sehari sebelum Hari Raya Aidilfitri. Namun apabila menemui semula datuknya, mereka terjebak pula dengan misi pencarian harta karun datuknya sehingga mereka tersesat. Dalam misi harta karun itu, mereka terhimpit dengan masa kerana mereka harus membawa datuknya balik ke rumah sebelum ayah dan ibunya sedar akan kehilangan datuk mereka. 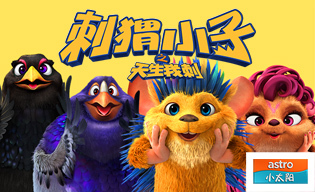 Endorsed by Zhang Zi Yi, Huang Xiao Ming & Li Bing Bing, this adorable animation film charts the adventures of Bobby the hedgehog, who sets out to recover his lost memory amidst many challenges. 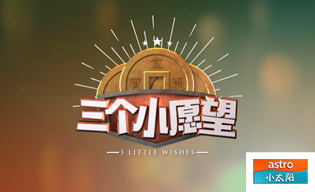 Set against the Ming & Qing Dynasties, the new season of this 8-time award winning series depicts how a child wise beyond his years helps balance the scales of justice in Shaoxing County. 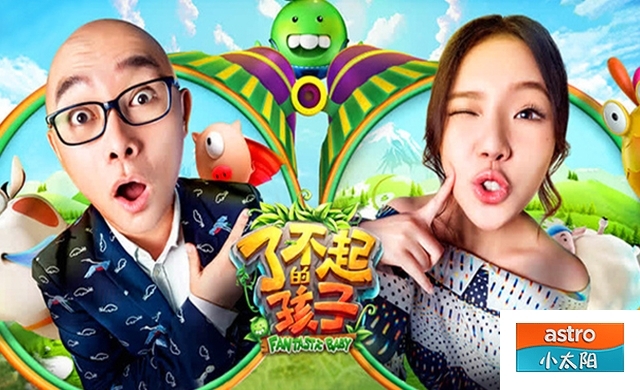 In this new season, Taiwan's famous Evonne Hsieh joins the host line up along with Meng Fei. 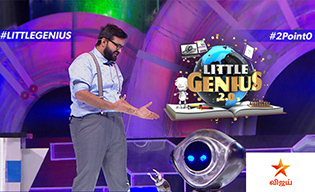 Enjoy their candid conversations & refreshing take on this showcase of exceptional kids ! In its new season, this educational art guide uses interesting objects, and contrasting & constructive forms to awaken children’s attention & curiosity. 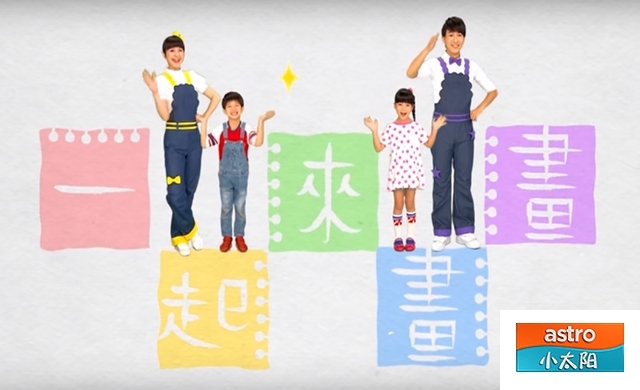 This Singaporean children’s education drama charts how four little students learn to like Mandarin classes – and develop an appreciation for Chinese culture along the way. 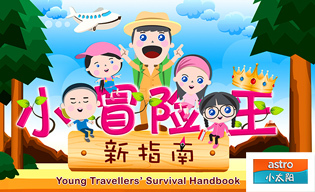 This series equips children with some basic, but essential survival skills to help them cope with natural disasters & other risks they may encounter while travelling. 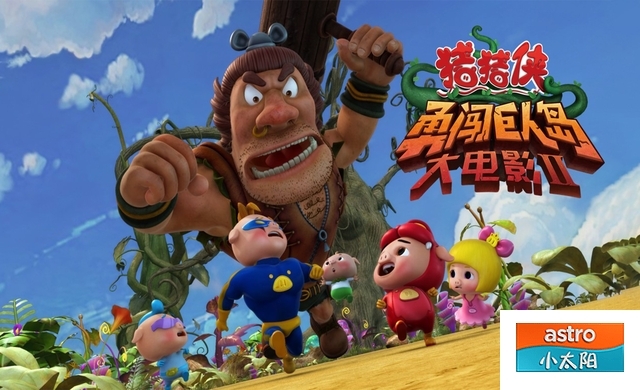 The sequel to this animated adventure from China captures a quest by brave Yugo & her animal friends, to save a fantasy kingdom’s water supply from militaristic rats. 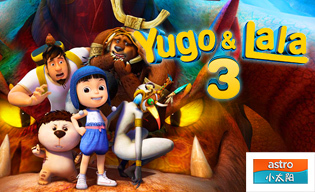 In the third installment, Yugo, Lala & Uncle Bear team up once more, to stop a war involving an ancient tribe trying to stake its claim on Animal Paradise. 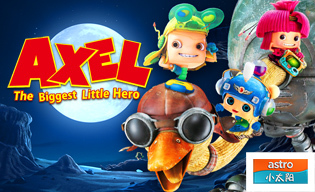 Come on a 3D adventure in which Axel sets out on an incredible journey with his friend Jono, on a quest for Bonta, a rare plant with the power to save his village. 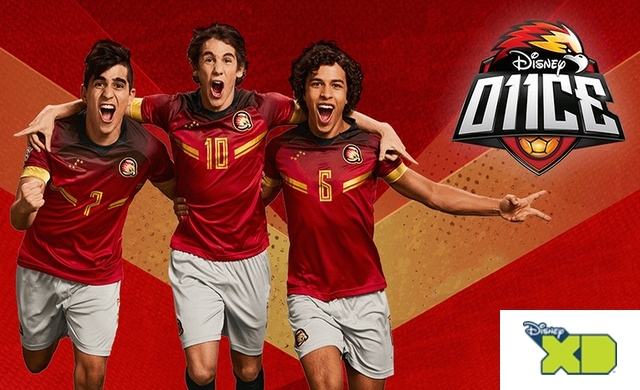 Gabo is accepted to go to the IAD to become a professional football player. 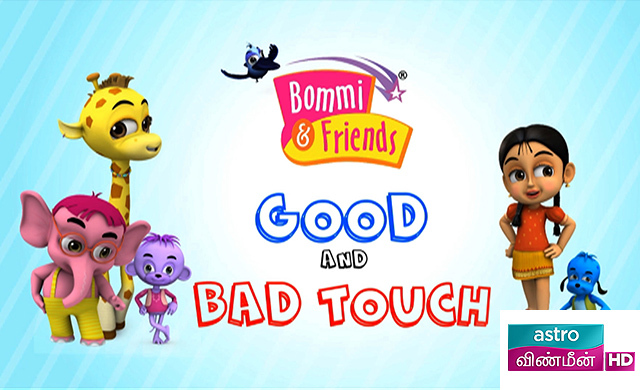 This video is a small demonstration to taught children the concept and importance of 'Good Touch and Bad Touch'. 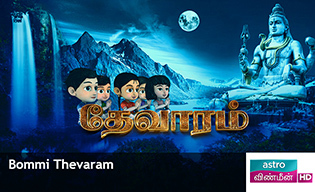 This show educate children's on numerous deity songs. 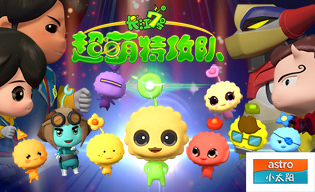 Adapted from Stephen Chow's scifi comedy movie "CJ7" , this 3D animated film depicts how a magical little alien unites with his human friends on a quest to save Planet Earth. This wildlife documentary broadens children's horizons in its new season, that demonstrates how animal caregivers take care of their charges at zoos & conservation parks. 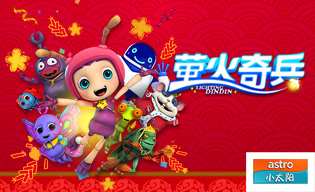 This animation adventure tells the story of Din Din, a firefly, and how he & his friends begin a daring quest to defend their homeland. 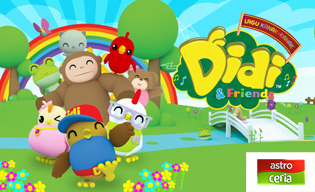 Sing along with Doby & Disy, the kids from Sunshine Forest, as they experiment with simple English words, sentences & songs on a musical learning adventure. 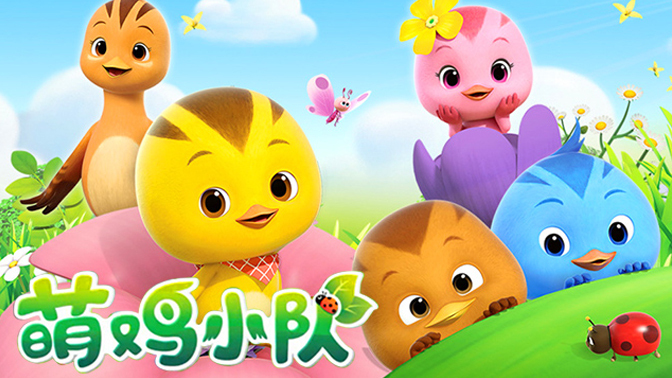 China’s leading cartoon for kids transmits knowledge effortlessly. 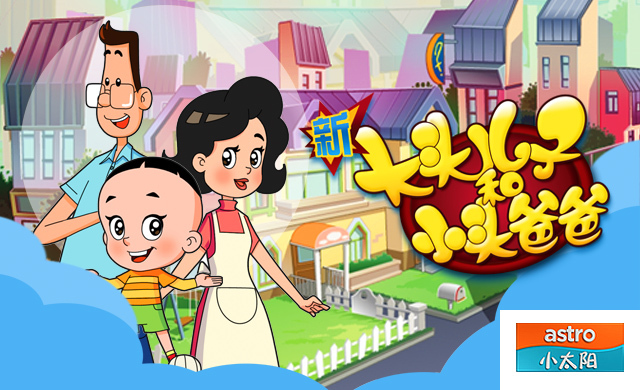 Join Detective Kubi as he analyzes cases & seeks clues in word games involving all things Chinese. 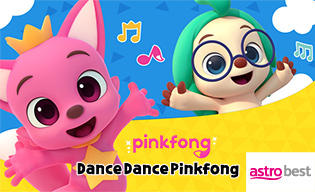 Designed for kids by professional trainers as an intro to beats, this upbeat program helps them develop a sense of rhythm & boosts their intelligence level. Brain Break Dance is a chance to have fun ! 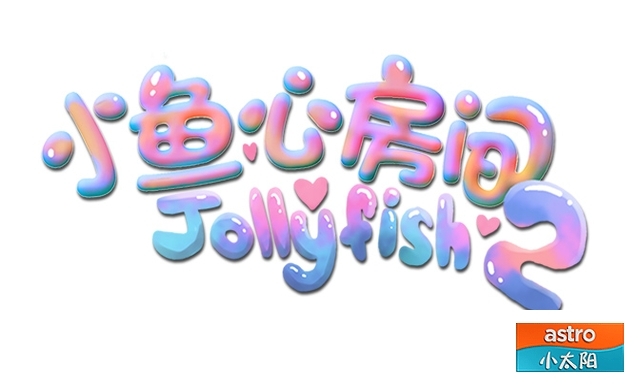 Integrating two of XTY programmes, New Tong Tong's Wonderland & Jollyfish, this series brings you eleven new tutorial MVs featuring exercise songs to get parents & children working out together. 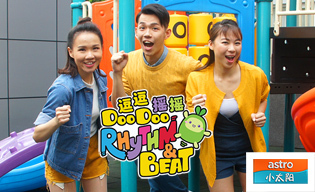 Three new hosts join the original duo, in a new season of Malaysia's first-ever song & dance children's show, full of general knowledge & fun-filled activities. 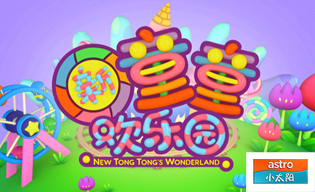 This children’s compilation features songs from all three Tong Tong’s Wonderland albums, including 33 original MVs & karaoke versions. 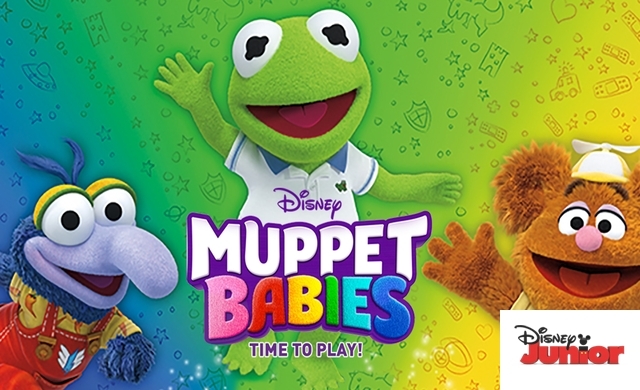 This fun-filled educational series utilizes finger puppets to teach basic rhyming to children ages 2-6. 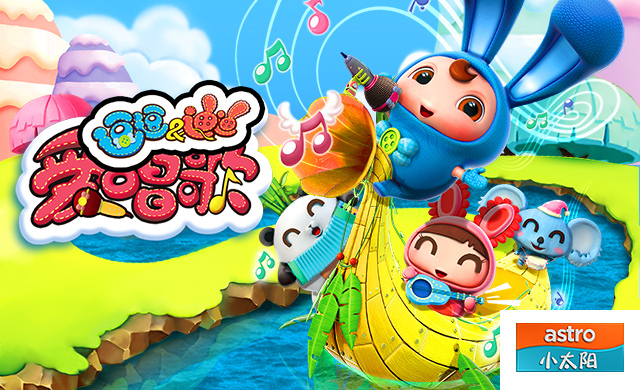 Singing & playing games boosts child-parent interaction, language skills & physical abilities. Life always seems complicated for good old Charlie Brown, the boy who always tries his best against seemingly impossible odds. 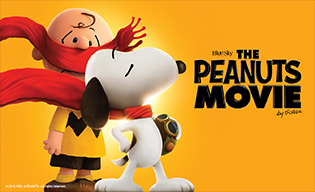 When the Little Red-Haired Girl moves into his neighborhood, Charlie Brown develops a crush on her. Meanwhile, his best friend Snoopy embarks on an epic adventure in a fantasy world. As a World War I flying ace, the lovable beagle pursues his nemesis, the Red Baron, while also trying to win the heart of a beautiful poodle named Fifi. 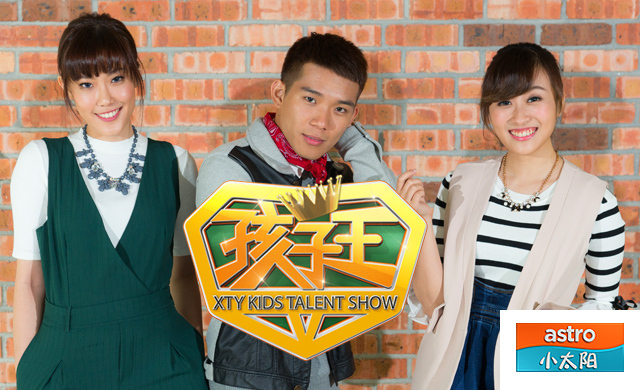 In Season 3, 16 new talents choose star coaches - Zhu Jun, Tan Weiwei, Yang Yuying & Peter Lee Shih Shiong. 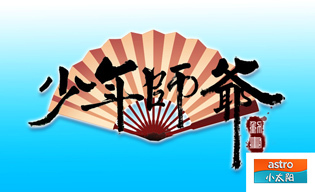 Enjoy the classics refreshed, as these children perform Chinese & Western perennials. 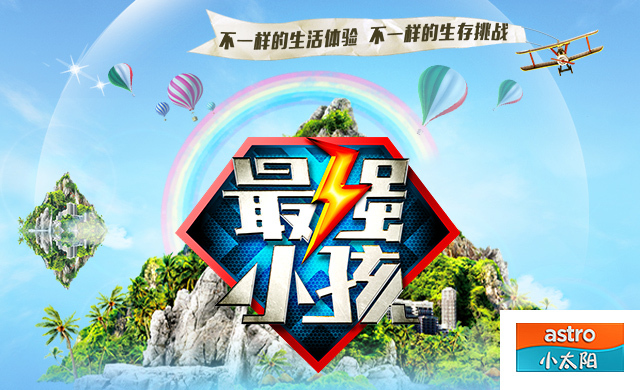 In China’s hottest children’s self - reliance survival reality show, 10 star kids meet the challenge of a thrilling 72-hour independent survival test. 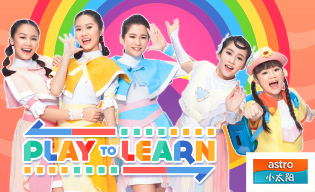 Inspiring young minds & nurturing character development in a new season, Astro’s original educational children’s programme combines song & dance with animation & creative handicrafts. Geng UPSR 2 kini kembali dengan kehadiran dua pelajar baharu, Viky dan Nasir. Kamil terkejut apabila Viky menjadi pemenang kuiz UPSR. 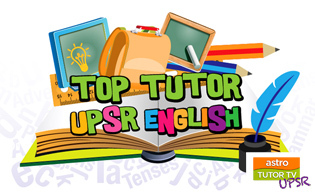 Join the warm English Tutor Ms Sally as she injects some of her own fun personality while teaching the language. 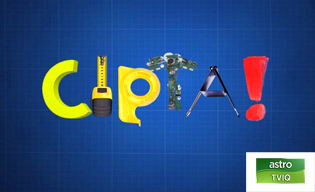 Students will get to practice to challenging questions, followed by top notch explanations. 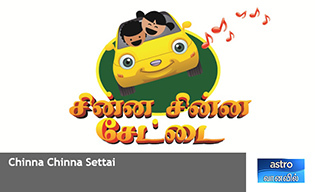 Local sensation, Sasi and Kollywood personality, Ammu will travel to various ‘hot spots’ in the sub urban areas in Malaysia & meet the local kids in those areas for an exciting fun filled show. 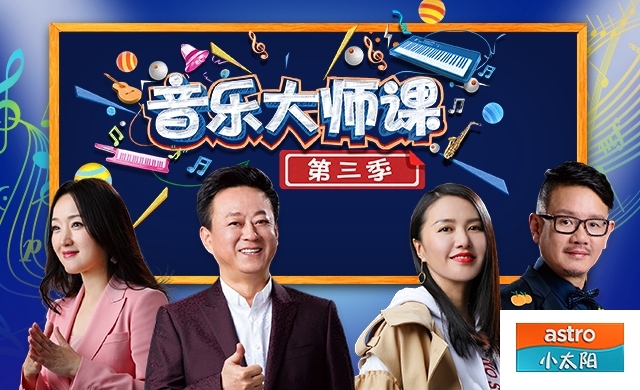 A new format student quiz show to test the intelligent quotient with interesting rounds. The show feature students grade 6 to 8 from different schools as participants with a team consisting of 5 members. There are multiple challenging rounds to test their vocabulary, general knowledge and logical reflexes. 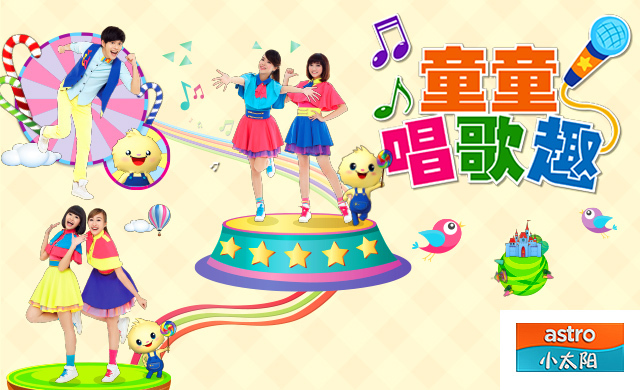 The team with the highest score is rewarded with exciting cash prizes. 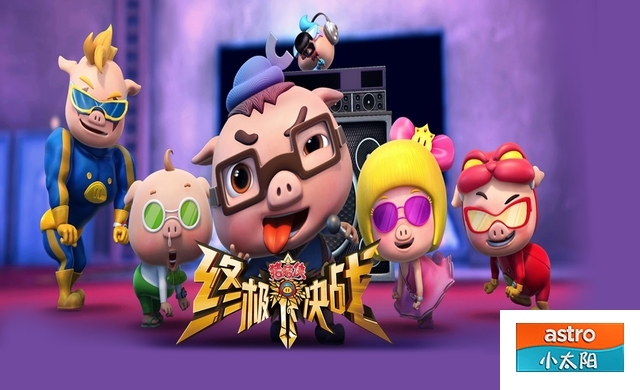 China’s top animation series for kids repositions the role of cartoons to educate children through life lessons, in situations they can understand. 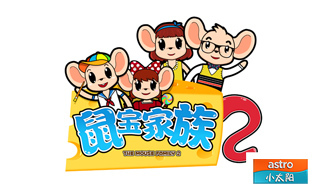 In the new season, the Mouse family relocates to the top of the hill. Share their adventures at their new home, school, and the recycle shop run by Mouse Daddy. 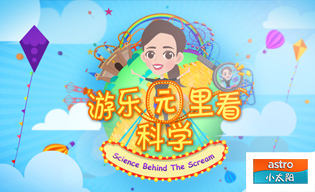 This documentary combines education & fun at Asia-Pacific’s best theme parks as it shows you the science behind the rides. 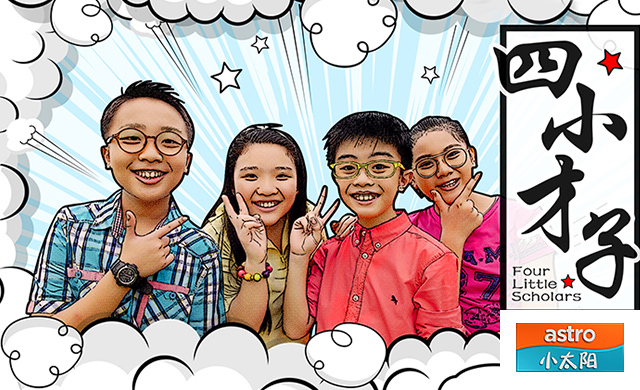 Malaysia’s most significant kids' talent show returns, packed with multi-talented children who strive to impress the judges for a spot in the competition. 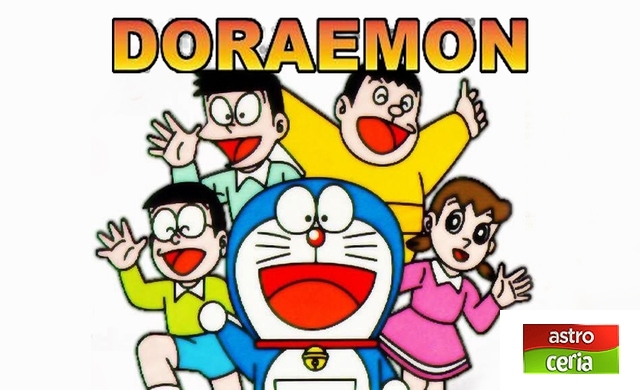 This children’s drama depicts how a teen takes positive action to save his family from the effects of a wish gone wrong. Cuak mengisahkan tentang keluarga Bahaman yang pulang ke kampung untuk mencari atuk mereka yang hilang. Anak sulungnya, Danial seorang yang kuat tetapi penakut. KLIK menceritakan kehidupan sekumpulan remaja yang terdiri daripada remaja sekolah. Rancangan ini akan membantu adik-adik mencipta sesuatu dari bahan harian atau bahan buangan dan menjadikannya bahan berguna. Selamat mencuba!